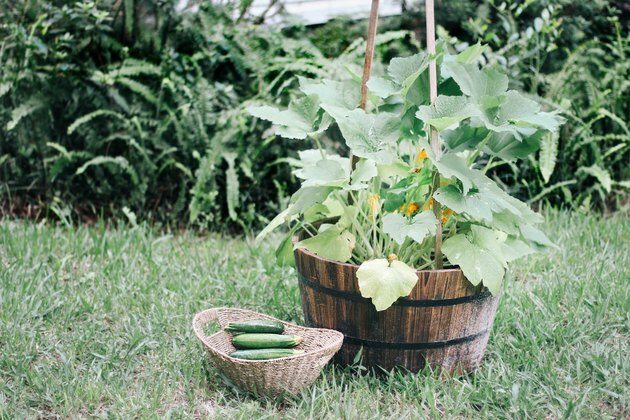 If you're short on garden space, growing zucchini vertically is a smart alternative. With a reputation for being a sprawling plant, zucchini grows quickly and tends to overtake garden beds. By growing it vertically, you can save considerable space and also harvest the fruit much more easily. Patio and balcony gardeners, rejoice! Zucchini plants love warm weather, so start your seeds indoors to avoid any chance of frost destroying them. 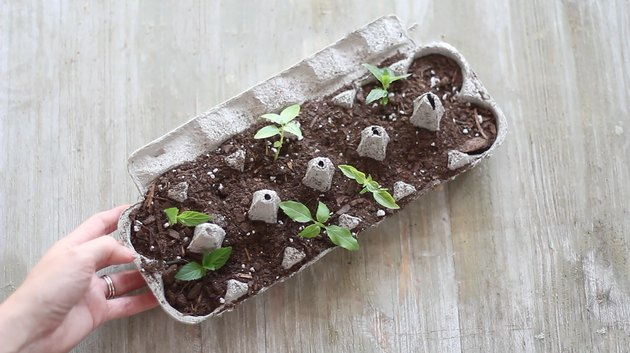 Fill an empty cardboard egg carton with potting soil and plant a seed in each cup. Water thoroughly and place in a sunny location indoors. Be sure to water daily to keep the soil moist. Within a couple of weeks, your zucchini seeds will sprout into seedlings. 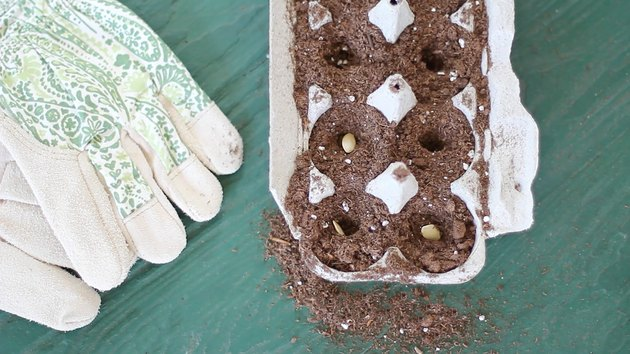 Prior to transplanting the seedlings outdoors, you'll want to harden them off -- this is a gradual introduction to the outdoors. After the last chance of frost has passed, start by placing your seedlings in an outdoor location that gets indirect sunlight for a few hours for three to four days. On the fifth and sixth days, place them in direct sunlight for a few hours. By the seventh day, your seedlings should be able to withstand full sun. Place about an inch or two of rocks or pebbles in the bottom of a large plant container. 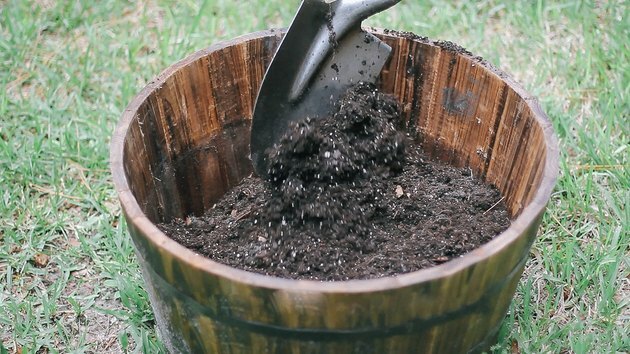 You'll want to choose a container that's at least 20 gallons or more, such as a whiskey barrel planter. The rocks create better drainage for the soil. Fill the container with potting soil on top of the rocks. Be sure to use a fertile mix that's designed for container gardening. 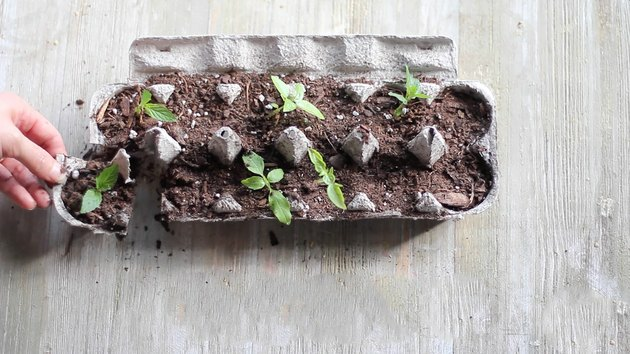 Cut your seedling cups apart on the egg carton and plant one seedling directly into the soil. There's no need to remove the egg carton as it's biodegradable. Water thoroughly and place the container in an area that gets full sun. 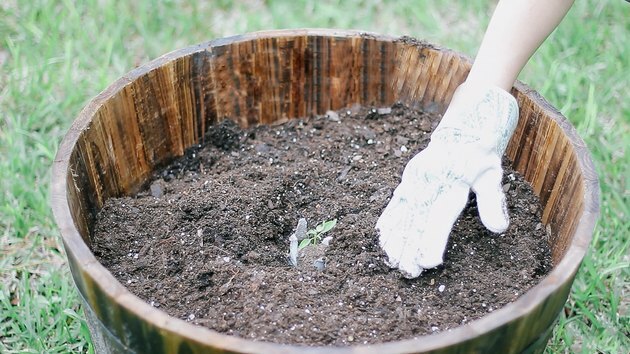 Tip: You could try planting two or three seedlings to increase the chances of the plant's success, but once they start to grow, you'll need to thin it out to just one seedling per pot. 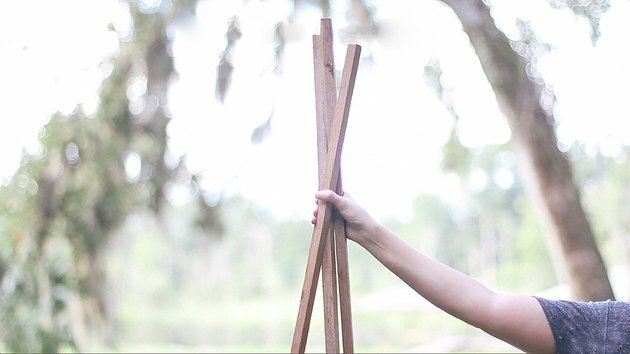 Stick three tall wooden stakes into the soil around the edges of the planter and tie the tops of them together with twine or hardy string. 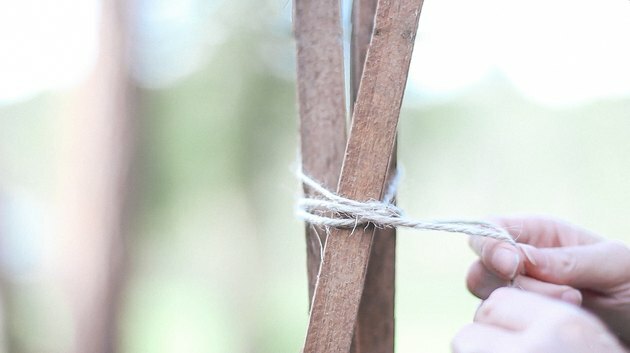 You could also use a tomato cage, if you prefer. 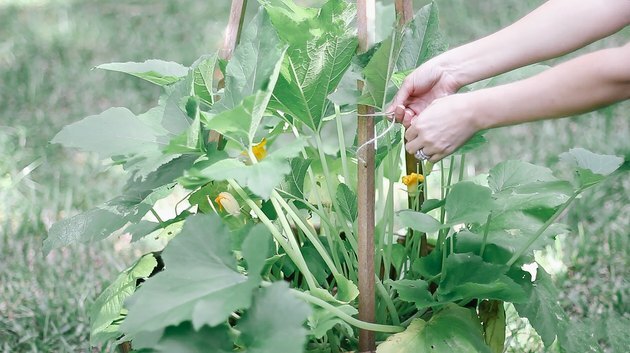 Once the zucchini plant starts to thrive, tie the stalks to the wood stakes every few days as it grows. 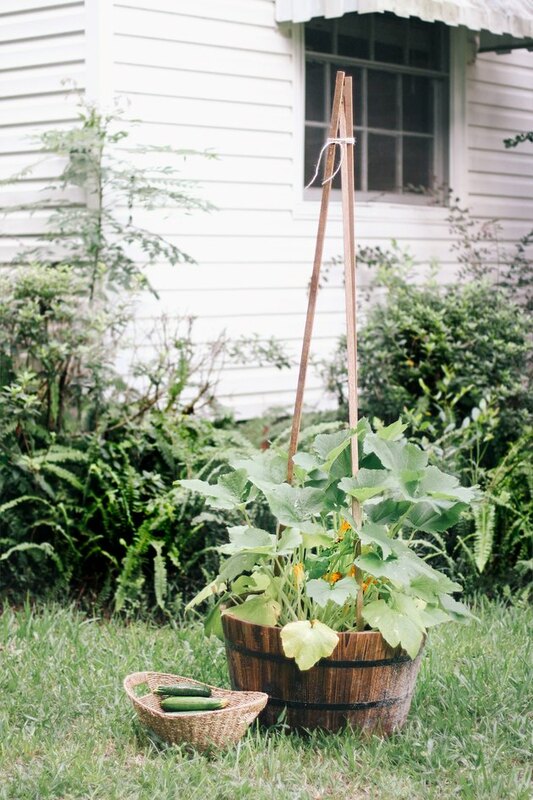 Be sure to lift the leaves and tie the stalks around the base of the container first, followed by the center ones. And don't tie the stalks too tightly to the stakes. 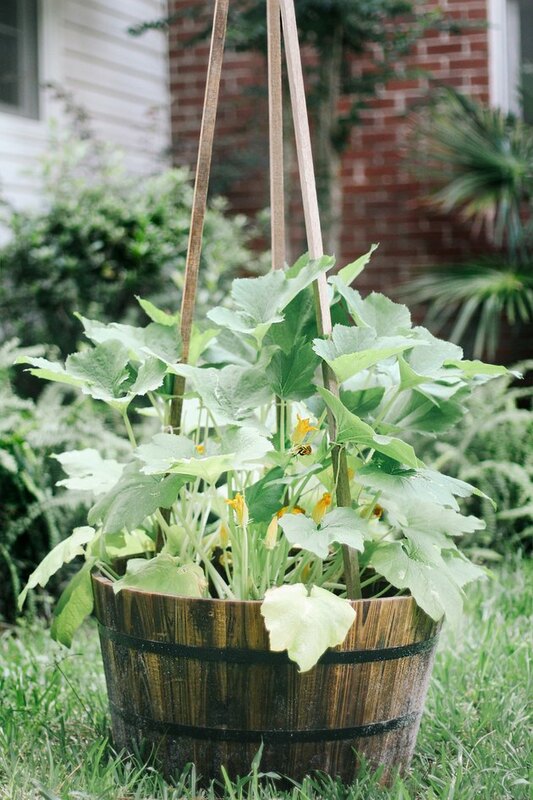 Continue this process every few days throughout the growing season, and you'll have a healthy, hardy, and very vertical zucchini plant.